Sugar Levels: What is an Appropriate Glucose Level in Blood Test? Glucose levels refer to the amount of sugar in your blood and correspond to how well your body is transforming sugar into energy. Hormones in the body called insulin and glucagon help to control blood glucose levels. Insulin signals the muscles and liver to take glucose out of the blood, reducing high glucose levels in the blood. Glucagon does the opposite and, instead, raises blood sugar levels if they have fallen too low. The answer to “What is an appropriate glucose level in blood test?” is determined by when you last ate. A glucose tolerance test can be conducted at a FastMed Urgent Care location. It normally takes around three hours. Don’t worry about missing work or school, for we can schedule it on a weekend or even a holiday. For a Glucose Tolerance Test, you should not eat for 8 hours prior to testing and come to FastMed Urgent Care early in the day. We draw some blood to establish a fasting blood sugar level, then you will be given a sugary drink. We will continue to draw blood again every 30 to 60 minutes. 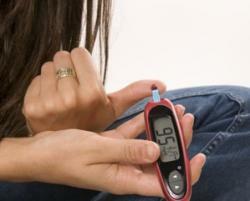 Our medical professionals will determine if your blood-sugar levels fall within a healthy range. This will be determined from the blood drawn throughout the glucose test. The only way to know if you have diabetes is if you are tested for it by a medical professional. Come in and talk with us at FastMed Urgent Care. We will answer any questions you might have, complete your testing, and help you move forward with the proper course of treatment. Should you need a referral to a specialist or for advanced testings, we’ll get it scheduled for you and transfer you up-to-date electronic health records. You take care of your health. FastMed will take care of the details.